With my sun-dried vegetables and mushrooms, I've been enjoying making souffle-style dish. 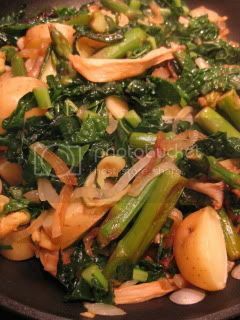 Sun-dry vegetables (such as zucchini & asparagus), as well as my usual sun-dry mushrooms are packed with developed umami flavors. The texture becomes much nicer after 1-2 days of sun-bathing. So, what I came up with was...first, I saute and steam-fry these sun-dried veggies & mushrooms with onion and garlic. Then, I add boiled potatoes and kale. 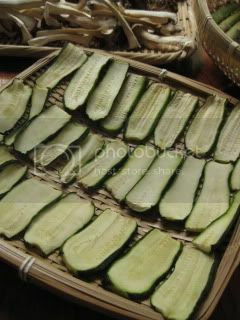 Once all the vegetables are cooked, I put them in a food processor along with my home-brew sakekasu & shio-koji to puree! 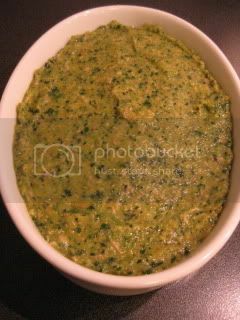 Then, the pureed vegetables are mixed with eggs, shredded Gruyere cheese, and some nutmeg. 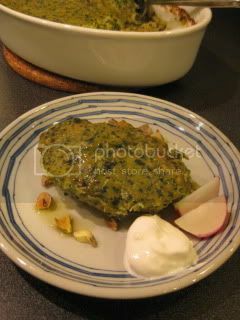 The mixture is put in a baking dish and cooked in oven for 25-30 minutes at 450F. My umami-packed vegetable souffle is served with 4:1:1 (Greek yogurt/ shio-koji/ amazake) sauce. Heavenly. 1. In a saute pan, saute onion and garlic in olive oil until the onion is soft. 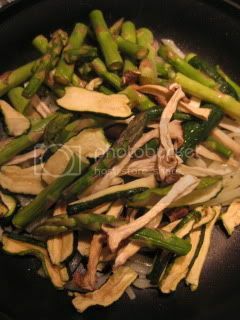 Add zucchini, asparagus, mushrooms, and stir. Add sake and cover. Let them steam-fry for 3-4 minutes. 2. Uncover and add kale and cooked potatoes. Cover again and steam-fry until kale is cooked through. *Add some water if necessary. 3. Once the moisture is reduced down to almost nothing, turn off the heat. Let them cool down for 5-10 minutes. 4. 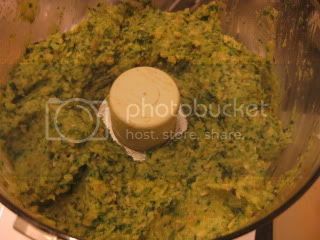 Transfer the cooked vegetables to a food processor and puree. 5. In a large bowl, whisk eggs and add a pinch of nutmeg. Add the pureed mixture and stir well. Add the cheese and stir again. 6. Transfer the mixture to a large-enough baking dish and cook in the 450F oven for 25-30 minutes or until it's done. 7. Serve with "4:1:1" sauce (mentioned above), or your choice of accompaniment(s).